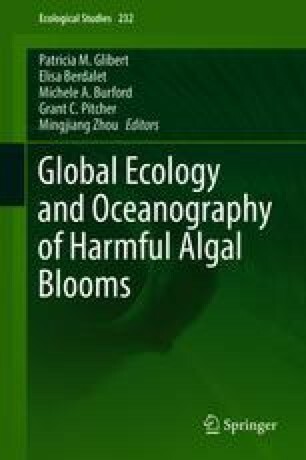 This chapter synthesizes progress achieved in the understanding of the dynamics of harmful algal blooms (HABs) under the auspices of the GEOHAB Core Research Project HABs in Stratified Systems. A variety of aquatic environments are considered, where small-scale hydrographic features may be encountered in stratified water columns. A special emphasis is put on subsurface thin-layer structures, which, thanks to advances in fine-resolution sampling and observation methods, have dramatically changed our comprehension of HAB events. The importance of small-scale physical–biological interactions as well as chemically driven relationships between HAB species and components of the food web are also key topics addressed. Research priorities are identified and the potential offered by new approaches and advanced instrumentation is discussed. This chapter is a contribution of the GEOHAB Core Research Project on HABs in Stratified Systems. It is a tribute to our colleague and friend Patrick Gentien who passed away in 2010. Patrick inspired and fostered research of the fine- and small-scale processes involved in HAB dynamics.